Corning is now working with a stronger type of display glass according to reports. Corning is known to be the manufacturer of permanent and more reliable displays that millions of smartphones used all over the world. 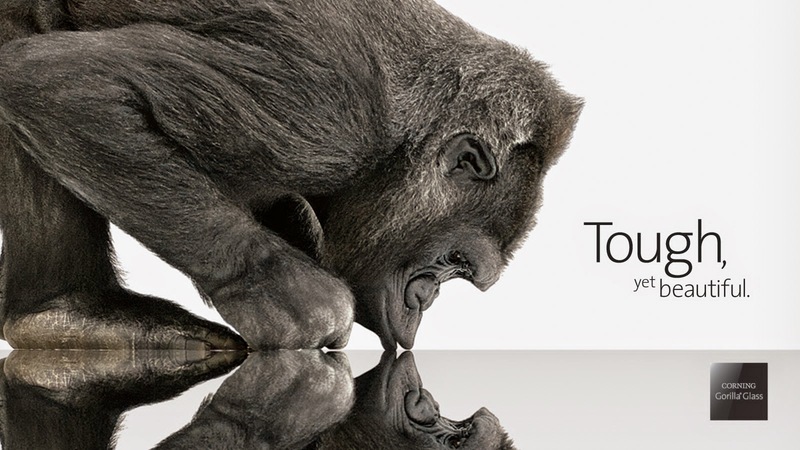 In a wccftech post, this new type of glass display will become flagship to The Gorilla Glass 3. But Corning specifically named its project as "Project Phire" — a composite display material combined properties from Gorilla Glass (its toughness) and Sapphire(its almost-scratch-resistant). It was revealed by James Clappin, Corning president, his company plans to make new hybrid glass announced yesterday at an investor meeting in New York, CNET reports — it was dubbed as "Project Phire". Project Phire is a new glass display that has the qualities of both of Gorilla Glass' strength and Sapphire Glass' scratch resistance. According to him, the product Sapphire was perfect for scratch performance but not in drop performance as same as Gorilla Glass. With that, the company created a product that offers same superior scratch performance and drop performance. Sapphire screens are worse for battery life because more energy is needed to make light travel through its thicker surface. 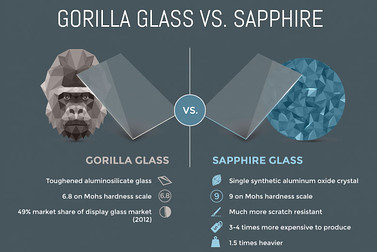 Finally, the biggest problem is that testing has revealed that sapphire glass is actually more likely to crack than Gorilla Glass. It turns out that while sapphire is tough to scratch, it is actually 3-4 times more likely to develop a crack if dropped. Gorilla Glass' strength performance comes from its toughened aluminosilicate material with 6.8 on the Mohs hardness scale. Sapphire Glass' drop performance, on the other hand, comes from single synthetic aluminum oxide crystal with 9 Mohs hardness scale. It is much more scratch resistant, but it is 3-4 times more expensive to produce, and it is 1.5 times heavier.